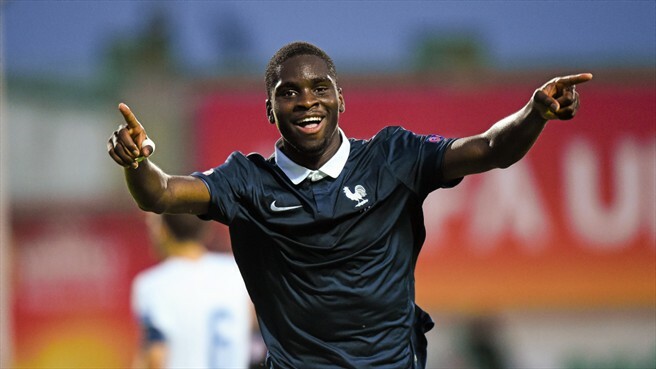 PSG wonderkid Odsonne Edouard has joined Toulouse football club on a season long loan. Toulouse FC is also a French association club which currently performs at Ligue 1 and won the three Ligue 2 along with one Coupe de France. The deal was sanctioned without any option for permanent move and he would be backed in French club after ending the season. It’s clearly indicated that it’s only a loan move for one year. Odsonne had signed a professional contract with The Parisians on April 2016, where he joined the Ligue 1 side. After joining the side he had scored three fabulous goals which boost the club to reach the final of UEFA Youth League but unfortunately lost against Chelsea by 2-1 goals. The 18 years old has made eight big goals with a hat trick against Germany in European Under-17 Championship on the last Summer and became named player of the tournament. Edouard was very happy to joined the Paris Saint Germain club and wanted to be learnt the useful tricks from the side. He mentioned that it was a great honor for him to become the part of the such a ambitious club. He also termed that he had a great year with his team and now he had to cap that was his first professional contract. Nasser Al-Khelaifi, the Paris SG chairman also very happy for the signing. He claimed that they felt very proud to cast the topflight forward on their youth academy side. And they would be nursing him properly to make his as a great professional in a short time. Likely this is the main cause why he allowed to join at Toulouse, where he get chance to raise his skill under the experience player. As the club has not sanctioned Edouard for the permanent move, it means they will include him after the loan session. However, as he proved his ability with the goal against Leicester in the pre-season in the ICC, it is hoped he would make the same short in Ligue 1 and prove himself once again. PSG recently signed the Real Madrid forward Jese Rodriguez for €25 million fee. The deal has been completed for a long term period of five-years. Jese joined the Blancos in 2007 as a youth footballer and after nine years he has been moved to PSG side. It become the fifth signing of the Paris SG in this summer. They have few more targets in this Summer and soon the the deal will be finalized.